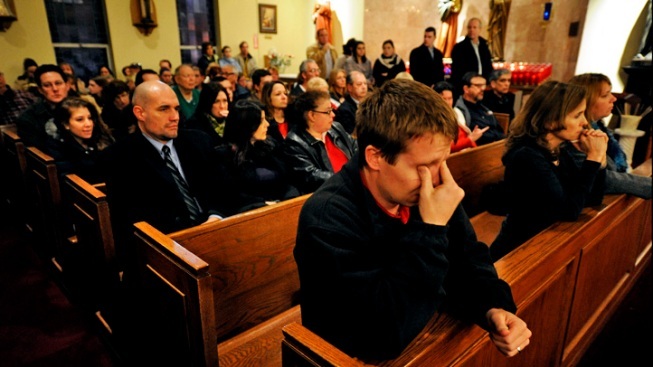 Twenty-six candles — one for each of the victims — flickered on the altar Friday as hundreds of grief-stricken residents gathered for a vigil in memory of the children and staff killed in a shooting rampage at a Connecticut school. A rough outline of suspected school shooter Adam Lanza's actions when he walked into Sandy Hook Elementary School in Newtown, Conn. has emerged. Chris Glorioso reports. Connecticut Gov. 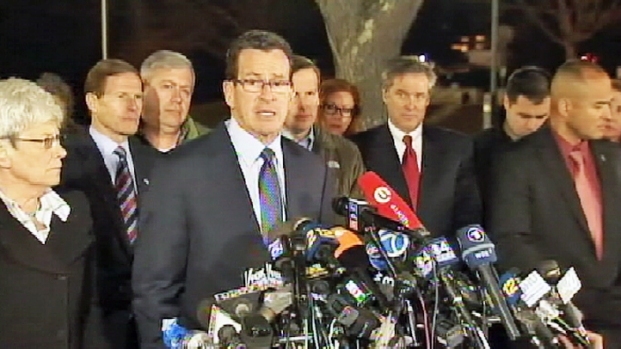 Daniel Malloy offers updates on the deadly school shootings in Newtown, Conn. in a 6 p.m. briefing Friday. 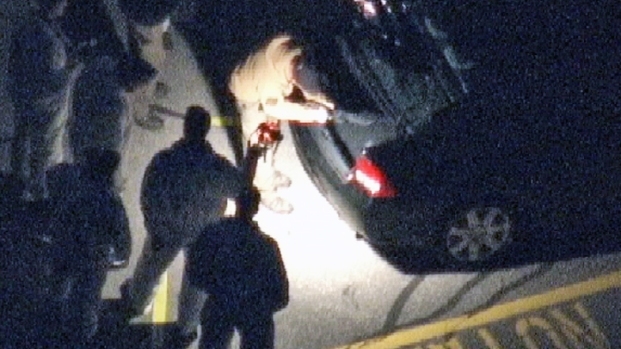 Authorities retrieve what appears to be a rifle from the trunk of a vehicle at Sandy Hook Elementary School in Newtown, Conn., where 20 children and 6 adults were killed Friday, Dec. 14. 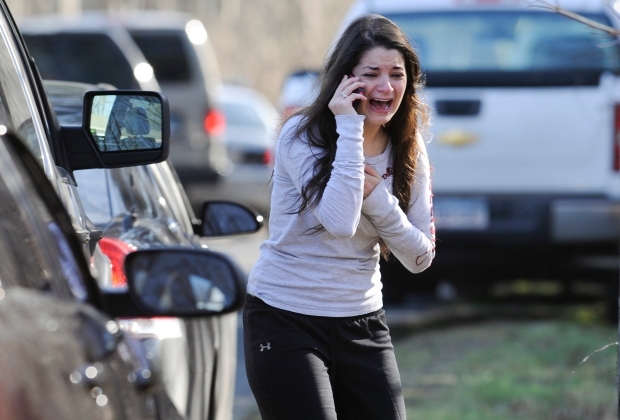 The gunman, Adam Lanza, also died there, and a woman's body was found elsewhere in Newtown. 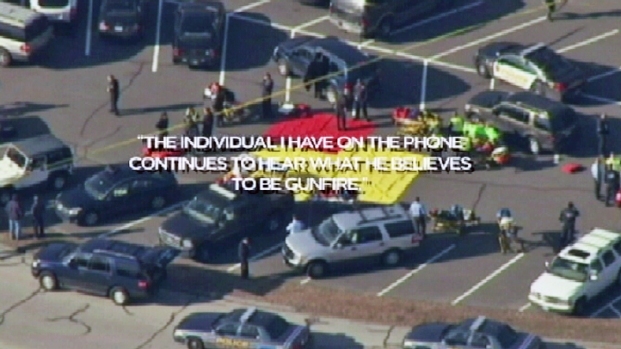 The weapons used in the killings belonged to the gunman's mother and were legally purchased, authorities say. "My son said he did hear some gunshots, as many as 10," he said. "The questions are starting to come out: 'Are we safe? Is the bad guy gone?'"